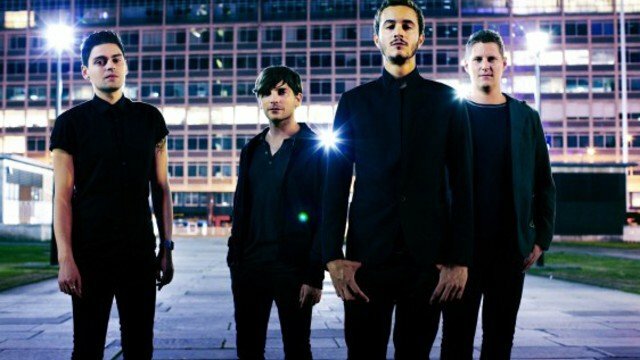 British indie rock band Editors have begun work on their fourth album, and follow up to 2009’s In This Light and on This Evening. At the moment the album remains untitled, but Russel Leetch, the band’s bassist, has revealed via a blog post that the band are well on their way to getting together enough material to take in to the studio. We have been working hard on new material over the last few months and, all being well, it will be with you next year. We are aiming to do some recording early next year. Probably in LA and maybe a session in London. We’ve got seven songs that we feel are in a great place to be recorded for the album and a load of other ideas floating around. He also talks about having a false start on the album, and the band just needing to get in to a rehearsal room to reconstruct songs and get out of the ‘we’ll write this in the studio..’ mindset. We had a bit of a false start with what we were doing and realised that we needed to get back into a room and rehearse hard, reconstructing songs and not thinking ‘we’ll write this in the studio..’. Rehearsing the songs in a room and over a longer period of time isn’t something we’ve done since ‘The Back Room’ and in truth bands these days don’t often get the luxury of working on a record like they worked on their debut. Song names so far include Formaldehyde, Sugar and The Weight of Your Love, and are described as “having a great groove and flow”. The album should be expected mid next year.